Herlinda Heras is in the studio with Steve Jaxon today. Mark Carpenter is on vacation in Hawaii and will call in. Regan Long from Local Brewing in San Francisco was expected in the studio today but she remains stuck in traffic. So with a nice bottle of Aquafina water in front of her, Herlinda Heras tells the story of Local Brewing of San Francisco while they wait to see if their guest gets through traffic in time to be on the show. Regan Long is the founder and brew master of Local Brewing, which is about to celebrate its second anniversary. She is one of two women brew masters that Herlinda knows. She used to be a marine biologist who worked on preservation of the Arctic and the Great Barrier Reef. Mark Carpenter calls in on the phone from Hawaii. He made a last-minute decision to go to Hawaii to visit the lava flow on the big island. Mark is tasting some Kona Beer and Maui Beer from Hawaii. Steve asks what styles are popular, Mark replies that lighter beers, IPAs and Blondes, are popular there due to the warm weather, and also some red ales. Maui Coconut Porter was one of the top rated beers this year, says Herlinda. 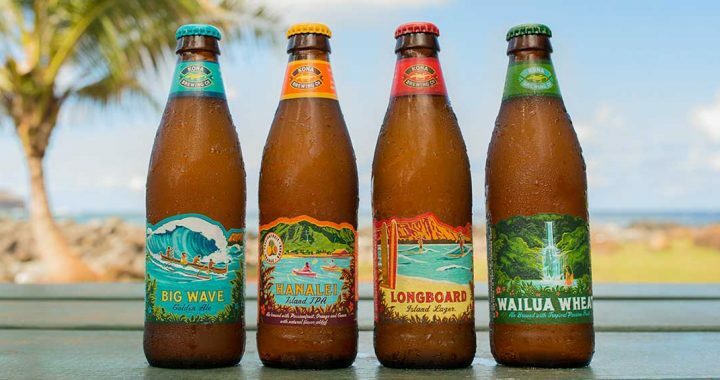 The Hawaiian beers are not so hoppy as the other popular beers in California. There are small craft brewers all around. Herlinda wonders if hops are more expensive there and Mark says everything is more expensive, except gasoline. He pays $10 for a six pack of Hawaiian beer. He’s going to take a 7am helicopter ride over the lava flows, then he will fly home the next day. Herlinda tells some news about Russian River Brewing which is now helping the Journey’s End Mobile Home Park, helping five seniors families who lost their homes to get new shelter. Natalie was in last week and they are still looking at an October opening for their new huge location in Windsor. Visit this page at the Russian River Brewing website for news about their new Windsor location. Herlinda Heras mentions that they also have a lot of pictures and information on their Instagram and Facebook pages. It is located just outside of Windsor, near the golf course. It’s going to be “a beer Disneyland” for all their beers. They will be one of the only places in California with a beer cellar. They will also have a beer garden, a restaurant and a gift shop, on 10 acres. Next week Herlinda Heras will be in Krakow, Poland, speaking about women in the beer business in California. Then she will visit France to take a beer tour in Provence and to do some cooking classes with beer. She will bring a bottle of Pastis back for Steve.